Uber and Lyft have for years battled for customers in the fast-growing ride-hailing business. Now the bitter rivals may fight for investors in their initial public offerings. Uber has received proposals from the investment banks Morgan Stanley and Goldman Sachs that say the technology giant could be worth as much as $120 billion in an I.P.O., two people briefed on the matter who were not allowed to discuss it publicly said on Tuesday. At $120 billion, Uber’s debut on Wall Street would be the biggest since the Alibaba Group of China began trading on the New York Stock Exchange in 2014. The market for tech I.P.O.s has surged in 2018. Nearly 200 companies have raised more than $53 billion in initial public offerings in American markets, making it the busiest year for tech newcomers to Wall Street since 2014, according to data from Dealogic. But a blockbuster public offering for Uber, which has burned through billions of dollars since it was founded in 2009 and does not appear to be close to sustained profitability, would mark a significant increase in risk-taking for investors in publicly traded companies. The banks also suggested that Uber could list its shares for trading on the stock market earlier than its original plans for late 2019. That would put pressure on the company’s main rival in the United States, Lyft, which recently picked JPMorgan Chase to lead its own initial public offering, said two other people briefed on the matter who were not allowed to speak about it publicly. This year, Lyft’s latest fund-raising round valued the company at $15 billion. It had been planning to go public in the spring, putting distance between its I.P.O. and Uber’s. Now the companies could find themselves in a race to the public markets, courting investors eager for a piece of two prominent tech industry darlings. The company that goes first is expected to have an advantage and could demand a higher price for its shares. “The first ride-sharing I.P.O. will get a lot of attention, so I think there’s some marketing value to being the first one out of the gate,” said Kathleen Smith, a principal at Renaissance Capital, which provides research and manages funds. Uber’s potential value in a public offering and Lyft’s underwriter were first reported by The Wall Street Journal on Tuesday. Uber’s I.P.O. is likely to be among the biggest financial events on Wall Street next year. At $120 billion, it would rival the total value of Facebook when it went public in 2012 with a market capitalization of $104 billion, Ms. Smith said. Unlike Facebook in 2012, Uber is not profitable on a day-to-day basis. Uber has been trying to shed its most money-losing businesses since Dara Khosrowshahi became its chief executive last year and has pulled back from expensive expansion plans in Russia, China and Southeast Asia. The company did turn a profit in the first quarter of 2018 thanks to the sale of some of those operations, but the second quarter was a return to form. Uber reported a $891 million loss, even though its bookings — the amount of money taken in by drivers — were up 41 percent from a year earlier and its revenue hit $2.7 billion. As a privately held company, Uber is not required to publicly disclose its quarterly results. But for some time it has revealed basic financial information to give investors a better sense of its health. The $120 billion valuation would also be a huge jump from earlier estimates. 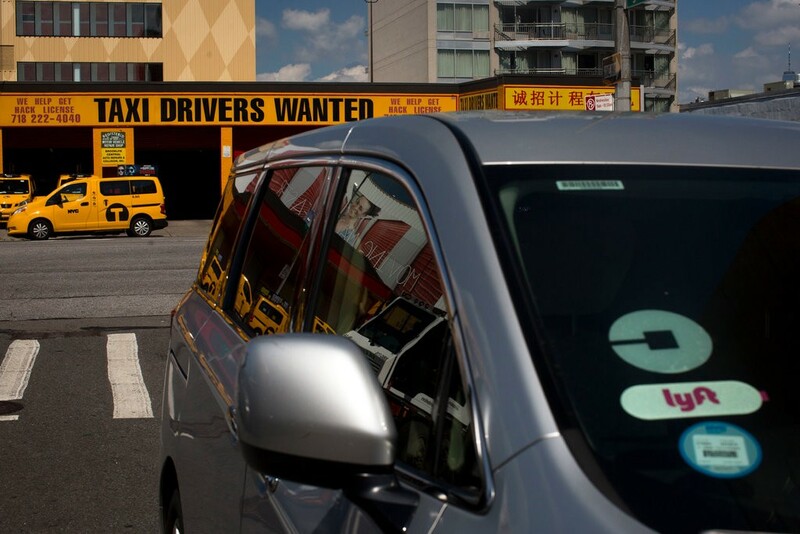 In December, the Japanese conglomerate SoftBank and a consortium of investors announced plans to buy 17.5 percent of Uber at a price of about $33 a share. That put Uber’s value at about $48 billion. At the time, Uber was struggling to overcome a range of management issues, and the SoftBank investment was a steep discount from earlier rounds, which priced the company as high as $70 billion. A $500 million investment made by Toyota in August valued Uber at $76 billion. The San Francisco company is aggressively trying to increase business for UberEats, its food delivery business, and is expanding into rentals of electric bikes and scooters, as well as bookings for freight shipments. Lyft, which is also based in San Francisco, has always been Uber’s much-smaller but toughest competitor in the United States. It started expanding outside the country just last year, and has largely avoided the regulatory fights and bad publicity that have plagued Uber all over the world. Like Uber, Lyft sees bike and scooter rentals as a way to expand. It acquired Motivate, the owner of CitiBike, for a reported $250 million in July. Lyft said revenue for 2017 was $1 billion — a 168 percent increase from the year before — but did not disclose its profits or losses for the year. Financial analysts assume Lyft, like Uber, has burned through significant amounts of cash. Uber and Lyft are both working on autonomous vehicles. Executives believe that driverless cars could eliminate one of their biggest expenses — human drivers. But the technology is, for the moment, prohibitively expensive and far from wide commercial use. Uber has considered selling its autonomous vehicle unit, while Lyft has mostly pursued the technology through partnerships. A lack of profits is unlikely to scare off investors. Much as it did during the dot-com boom nearly 20 years ago, Wall Street is cozying up to tech companies that are growing fast but burning through cash.